The Simpsons' fifth season originally aired on the Fox network between September 30, 1993 and May 19, 1994. The showrunner for the fifth production season was David Mirkin who executive produced 20 episodes. Al Jean and Mike Reiss executive produced the remaining two, which were both hold overs that were produced for the previous season. The season contains some of the series' most acclaimed episodes, including "Cape Feare" and "Rosebud". 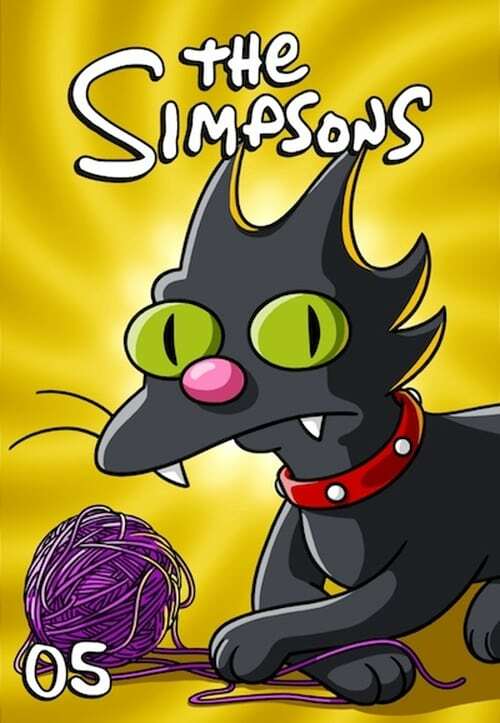 It also includes the 100th episode, "Sweet Seymour Skinner's Baadasssss Song". The season was nominated for two Primetime Emmy Awards and won an Annie Award for Best Animated Television Program as well as an Environmental Media Award and a Genesis Award. The DVD box set was released in Region 1 on December 21, 2004, Region 2 on March 21, 2005, and Region 4 on March 23, 2005.